Here’s a little local history about Ward Elections in Oshawa to give you background on the issue. 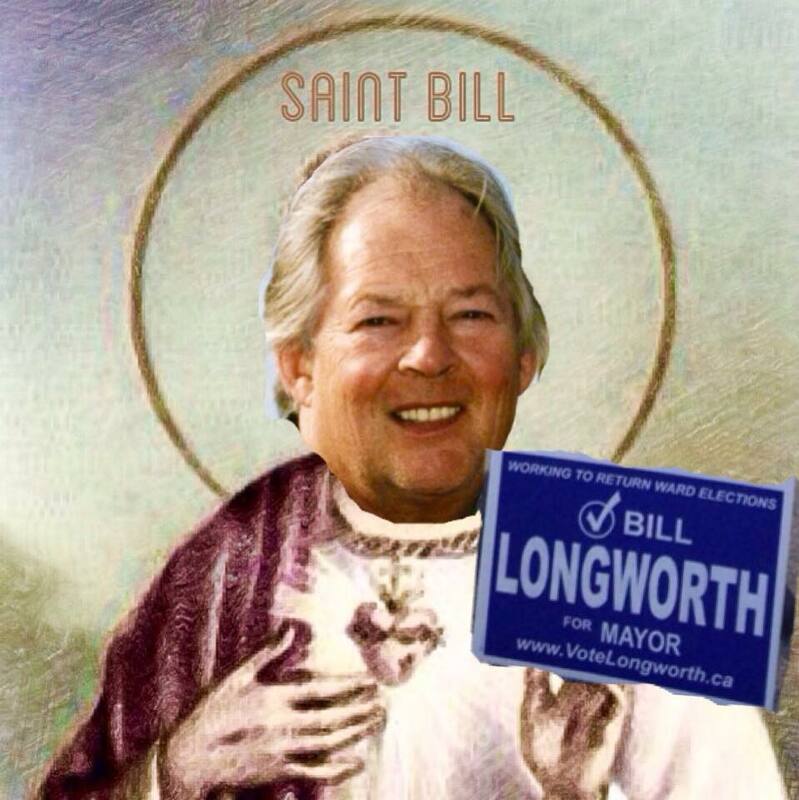 In the early 80’s, I started a group called “WARD SYSTEM NOW” to petition city council to implement ward elections. At the time, the city had had a succession of General Vote Elections and over the previous 7 councils accounting for a total of 107 seats, not one councillor lost their seat through the vote, all change taking place through appointments following the death or resignation of councillors. Worst yet, even though the city was divided into 7 wards, they were not used for election purposes but the the 15 person general vote council was composed of 7 people living in my ward, a thin strip across the city North of Rossland and South of Taunton, while 1 person resided in the rural area north of Taunton that Provincial Legislation guaranteed representation by virtue of being amalgamated from the Old East Whitby Township, 3 resided in the old ward 3 but 3 resided in one polling subdivision of about 100 homes at the east end of Regent Drive. The Mayor at the time, and not included in the breakdown above resided South off Adelaide just west of Wilson. The important point, over those 7 councils comprising in total 107 members, not one member ever resided south of King Street. The city’s South End was not represented—and forgotten. And, despite some very nice housing in the South End, the sorry state of South Simcoe down to our lakefront was never serviced and gave the area an undeserved reputation. All of the members of Council lived in some of the more expensive housing at that time while poorer sections were never represented. Seeing all this, I formed a group called “Ward System Now” to campaign and fight for fairer, more democratic, more responsive, and more representative Ward Elections. Oshawa’s Daily Newspaper, the Oshawa Times, covered and editorialized our issue daily over a 4 year period to bring significant publicity to the cause. I appealed to the Ontario Municipal Board to hear our case for ward elections, and famous former Crown Attorney and Criminal Lawyer at the time, Bruce Affleck agreed to present our case pro bono to the OMB. Mr. Affleck’s involvement really earned serious attention to our case and to our cause as he was one of the most esteemed counsels in the Province. Unfortunately, Mr. Affleck was not an expert in Municipal Law and we lost the case in a 3 day trial. But the result was Council’s agreement to put a election system question on the election ballot. Leading up to the ballot question, my group, “Ward System Now” continued to be the only active spokesman and visible proponent for the change. My chief opponent at that time of the early to mid 80’s ward battles was Cliff Pilkey, then President of Ontario Federation of Labour, former City Councillor, and father of the incumbent Mayor Alan Pilkey. Cliff Pilkey, on behalf of OFL and at their expense, took out regular full page ads in the city newspapers at the time opposing ward elections. The Labour Movement opposed ward elections because it segmented the city-wide labour vote into wards rather than being allowed to block vote across the city for the heavily publicized Labour Slate named by the Oshawa Labour Council. Under ward voting, labour supporters could only support labour candidates running in their ward. So Cliff saw ward voting as a way of stripping labour influence and labour control of city council in the city. Despite opposition from Cliff Pilkey, the Oshawa Labour Council, the Oshawa Golf Club Membership, and the City Establishment, I persisted with the fight for ward elections and the local press continued supporting the cause. While Labour involvement and concern with control of city council seems less pronounced these days, the overall picture has not changed much under our present general vote system. Because general vote politicians need large numbers of votes, they patronize the groups with large members–the large churches, the large organized ethnic groups, the golf club membership, the downtown business organization, etc. in the hope that “being nice” to these groups will cause the group leadership to influence their large city wide membership to vote for the friendly politicians. So the large organized groups are getting political attention again at the expense of the individual ratepayer whose 1 or 2 vote household is just not worth the effort. The other group highly favoured by the politicians are the developers, planners, lawyers, contractors, etc. all of whom donate heavily to incumbents to fund their expensive city wide campaigns. These corporate donors are not donating out of the goodness of their heart. They’re buying votes for their projects. Otherwise they’d donate to all worthwhile candidates, not just the incumbents. I believe in ward elections to make politicians more accountable and responsive to ratepayers and I believe that all corporate political donations should be banned to insure against vote buying. Back in the early days of the ward battles, it wasn’t unusual to get a call from the local radio station at 5 to 11 on a Sunday morning with a request—-News goes on in 5 minutes Bill. Have you got a quote about the ward system. I was always prepared with something quotable realizing that moving people relies mostly on emotion with a touch of fact and even with a touch of hyperbole or exaggeration to drive the point home at times. Our chief press, the Oshawa Times, was a Thompson Newspaper, that printed the news “objectively” and without regard for local advertising revenue and was well read and trusted, the Bible of the Oshawa voting class. That’s not always true of local papers today whose editorial content is more revenue driven. In any case, with the publicity given to the issue by the media, during which my picture and ward stories were in the paper mostly every day over a 4 year period, the people voted for ward elections. This was maybe unexpected, and certainly unwanted, by the politicians, and so they decided they wouldn’t honour the wishes of the people. They decided that of the 15 members of council, only 4, the local councillors, would be elected by ward, in 4 wards that radiated outward from the 4 corners of downtown. That’s when I decided to appeal once again to the OMB for ward elections for Oshawa. This time I wanted the greatest expert in municipal election systems in the country to take the case. And after spending the previous 6 or 7 years reading and thinking and questionning about ward vs general vote systems, I decided that person was me. No one in the country would have spend as much time and energy on the question over that time. So I designed the strategy for the case, figured out pertinent evidence to present, rounded up expert witnesses and jumped into the case. I cross-examined most of the city staff who presented evidence on behalf of the city, some of whom were dripping in perspiration in having to respond under oath to questioning that often revealed testimony that their political masters would have cowered at, and maybe I was a little sorry when one of the politicians ended up tearfully at my questioning, only to come back after a recess to start the tears again. I did find that a quick wit and a little dramatic questioning went a long way. Often times (LOL), I asked such long convoluted and difficult to answer questions that some of the senior staff were befuddled and looked a little silly at not being able to, or wanting to, answer some questions in sensitive areas. But I’d have to admit I did have a lot of fun. The expert witnesses included George Manios, then a policy expert from the Ministry of Municipal Affairs, who gave evidence that an approximate 20,000 residents was the maximum size at which a general vote was suitable, from a few politicians from other Durham Municipalities who testified that their constituency workload would be negligible in a general vote system and that they could virtually never be defeated based on their name recognition no matter the quality of their work. In all, the hearing lasted 23 days and the judge directed ward elections be held in Oshawa for the 1985 municipal election. All politicians seemed to agree that the plebiscite question easily understood and wouldn’t confuse anyone. So a question was put to council. “Do you agree to deny funding Mr. Longworth $25,000 to produce and deliver a plebiscite information brochure to every city front door.” This question was similar to the plebiscite question in that voters had to vote “NO” to preserve the system they had. In the funding question above, those who wanted to deny me had to vote “YES”, an unusual answer if they didn’t want to provide me the funding. While this type of convoluted question might be difficult for non-sophisticated voters, it seemingly should not be difficult for councillors that vote on hundreds of votes every month. Anyway, Councillors John Henry, Louise Parkes, and Maryanne Sholdra got it wrong and along with the supportive votes I expected from Council, the motion passed 6 to 5 to not deny me the fund and therefore I should have received the funds. Some of the quicker wits on council noticed the error of Council’s vote quicker than a blink of an eye and a motion to table was placed so quickly and “counted” (OH YEAH!) and so the motion was tabled so quickly to the next meeting. Some official record of this vote might be available by filing an expensive freedom of information request, but it happened so quickly and there would be top secret security to avoid any disclosure of illegal procedure because the tabling motion required a 2/3 majority. The point of the above is to point out that if 3 of 11 Council didn’t understand the question and thus didn’t get their vote right, how would we expect relatively novice voters to understand these types of complex questions. Sophisticated Council Voters had a 22.3% error rate in their vote on a question similar to a question unsophisticated voters had on the plebiscite question. Voters voted in a ratio of approximately 16 votes to 9 votes in favour of changing to the general vote. An equal margin of wrong unsophisticated votes as the politician’s would mean allow for 20% of votes cast to be wrong…so given this margin of error, the real vote could have been a ratio of 12.8/12.2 for a return to the general vote. This result is based on the margin of error of sophisticated council voters and the I would expect the margin of error would be far greater for unsophisticated voters who had never seen or considered the question and voted only once every few years. Anyway the point is mute because the question is simpler now and I expect overwhelming support for a return to ward elections. a) The Pidwerbecki/Nicholson Motion putting forth the unneeded plebiscite idea was reckless and irresponsible since there was not an ounce of public concern about the election system we had, the election system most widely across the country…in point of fact, no large city in the country uses the general vote without pairing it with municipal political parties which are discouraged by provisions of The Ontario Municipal Elections Act. b) I believe the majority of the 2002 Council that approved the placing of the plebiscite was also irresponsible and approved for purely selfish political reasons to enhance their electoral chances and to ease their workload by wiping out time consuming constituency work. I think the political system should serve the city and ratepayers and not the politicians. c) I believe the 2006 Council that implemented the general vote based on a small margin of victory of about 7000 in a city of 150,000 was irresponsible considering they had that convoluted question that most did not understand, they refused to communicate the meaning of the question and its consequences or to promote public debate about the topic. All of this was undemocratic since Canada’s Supreme Court says an informed public is a basic requirement of democracy. Council’s actions in this regard were a non-democratic manipulation of the question and the process to get the answer they wanted. The process was wrong….In the absence of any public concern or question, they devised a strategy to bamboozle the public into giving them APPARENT SUPPORT for the election they wanted…for their pure political reasons to help themselves, not to improve the governance system for the city. In the process, our city politicians introduced an election system that is less accountable, less responsive, less democratic and less representative, and Oshawa is at a progress standstill until we return to ward elections, the system used virtually everywhere in the country, in all provincial elections, and in our federal elections.